The Predator Triton 900 features a CNC-machined Ezel Aero Hinge that flips, extends, or reclines the 17-inch 4K display. Users can switch between four usage modes- Display mode for sharing the screen with friends during gaming sessions, Ezel mode for playing games on the touchscreen, notebook mode for traditional gaming scenarios, and stand mode to effectively turning the Triton 900 into a tablet for gaming or using creator tools. The Triton series 900’s trackpad is placed beside the keyboard, giving users natural hand placement for gaming using both the keyboard and trackpad. 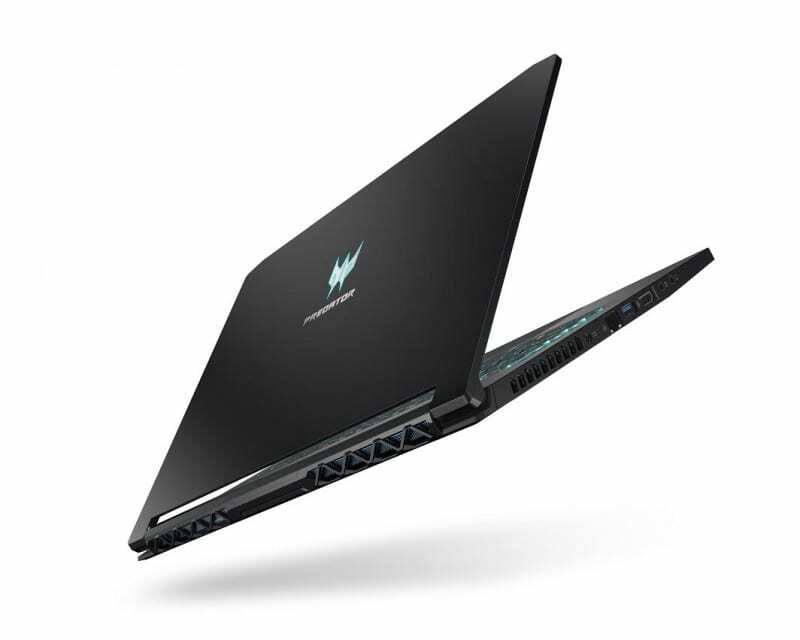 The gaming laptop is thick at 23.75 mm, which is pretty much acceptable for a gaming laptop. 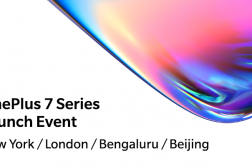 As mentioned earlier, it features the new NVIDIA GeForce RTX 2080 GPU and a 17-inch 4K IPS display with NVIDIA G-SYNC technology. 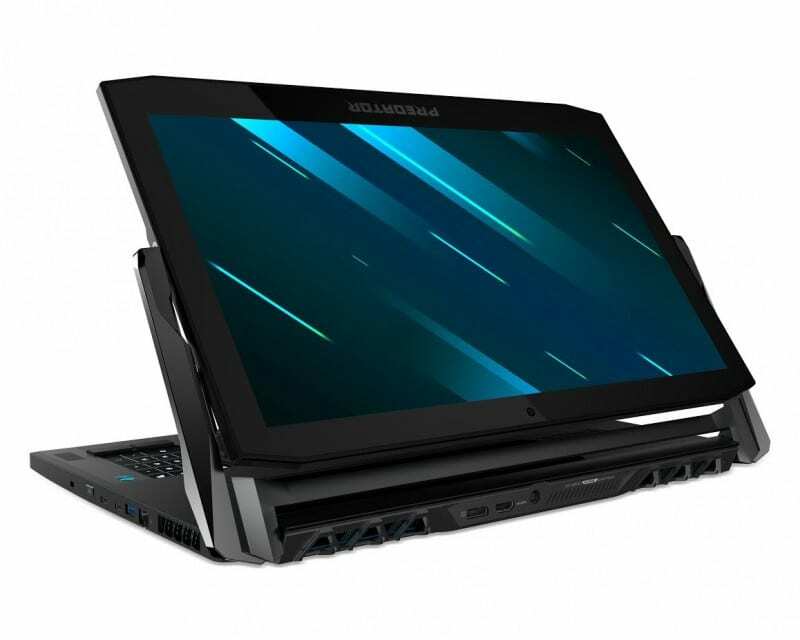 The laptop is powered by a six-core high-performance 8th Gen Intel Core i7 processor, NVMe PCIe RAID 0 SSDs, and up to 32GB DDR4 RAM. 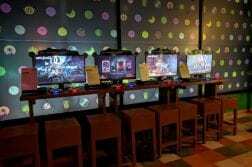 It comes with an Xbox wireless receiver that lets users play their favorite PC games on Windows 10 with an Xbox controller. It features audio by Waves which delivers superior sound quality made immersive with Waves Nx with head tracking for a hyper-realistic 3D audio experience. 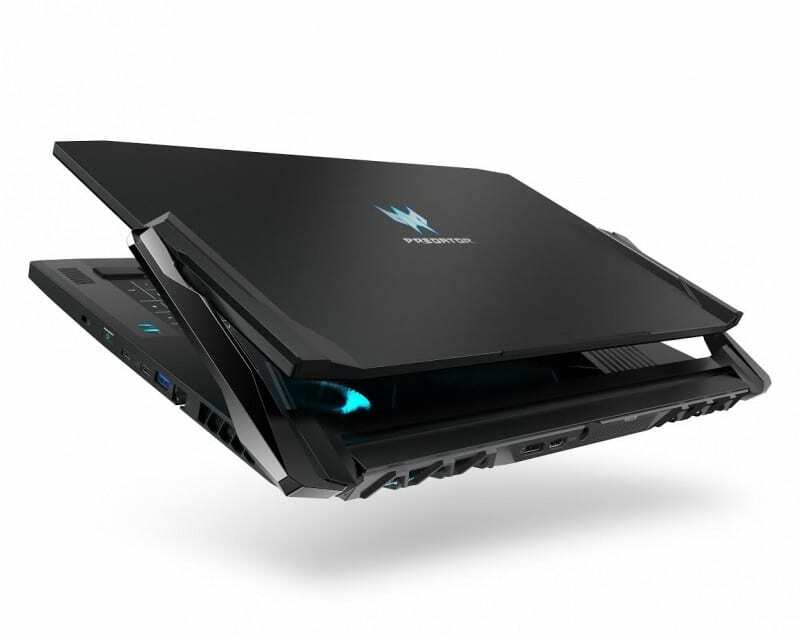 The Predator Triton 500 gaming notebook comes with a 15.6-inch Full HD 300 nits IPS display with 144Hz refresh rates and NVIDIA G-SYNC technology. It is 17.9 mm thick and weighs 2.1 kg. 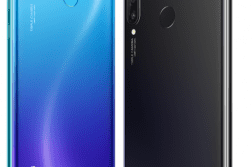 It has a durable, all-metal chassis and narrow bezels with 81 percent body-to-screen ratio. The Triton 500 offers up to 8-hours of battery life, users can play their favorite titles on the road or with friends away from home. 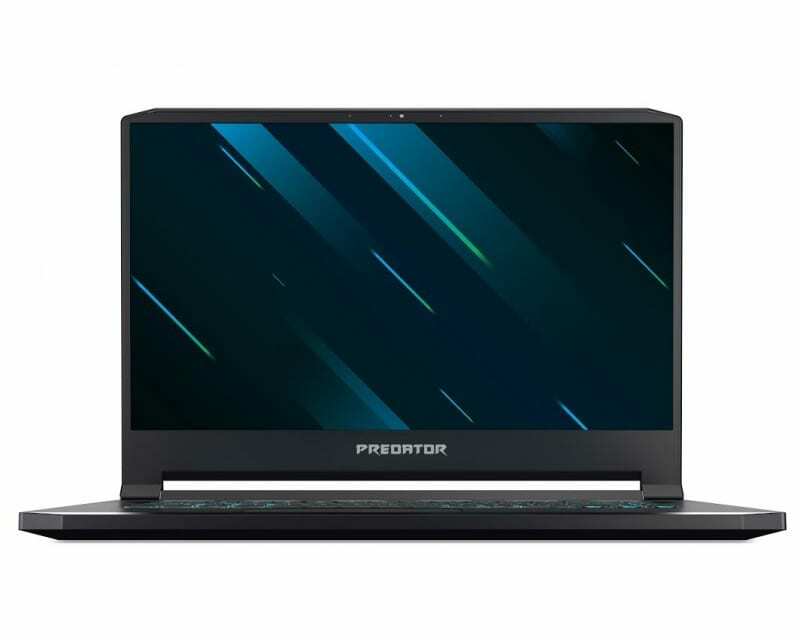 The Predator Triton 500 features up to NVIDIA GeForce RTX 2080 GPUs with Max-Q design, up to 8 Gen Intel Core i7 processors, NVMe PCIe RAID 0 SSDs, and up to 32GB DDR4 RAM. Its GPU is overclockable and VR-Ready. With the PredatorSense mobile app, which will be available later in 2019 one can control the Predator PC from a smartphone. The app can control settings for overclocking, fan speeds, lighting, and audio modes. Users can show active lighting profiles present on the PC, or switch lighting profiles remotely. Additionally, users can view and set customized macro key sets for physical hotkeys. The Triton 900 also comes with support for Predator RGB Assault, an app for League of Legends gamers, which shows pre-defined keyboard lighting effects while champions cast their abilities. Users can customize lighting effects for each of the abilities of their champion. The Predator Triton 900 will be available in North America in March with prices starting at US$3,999, in EMEA in March, with prices starting at €4,199, and in China in March, with prices starting at ¥39,999. The Predator Triton 500 will be available in North America in February with prices starting at US$1,799, in EMEA in February, with prices starting at €1,999, and in China in January, with prices starting at ¥16,999. For more news and updates from the CES 2019, follow us on Twitter.